I am the Primary secretary in our ward at church. I get to work with the kiddos up to age 12 and I just love it. When I was first assigned to work in the Primary, I was less than excited. But, I wouldn’t trade it for anything right now. It’s amazing, even when I come home from church completely exhausted. Part of my responsibilities is keeping track of all important dates, names and other information. I have to have a good calendar set! So I made some that I knew would have the information on them that I wanted – my 2016 Primary Calendar set – and I love how they turned out. There is a theme for the year and then every month has a theme and scripture to go along with that. I wanted that in plain sight when we have planning meetings to help us remember the focus for the month. I love having that and the calendar all in one place for when I’m working on preparing lessons too. There’s a reason each month has a theme and scripture – having it right in front of our faces helps us stay focused on the important parts of Primary! You can print your own 2016 Primary calendar set for the whole year. 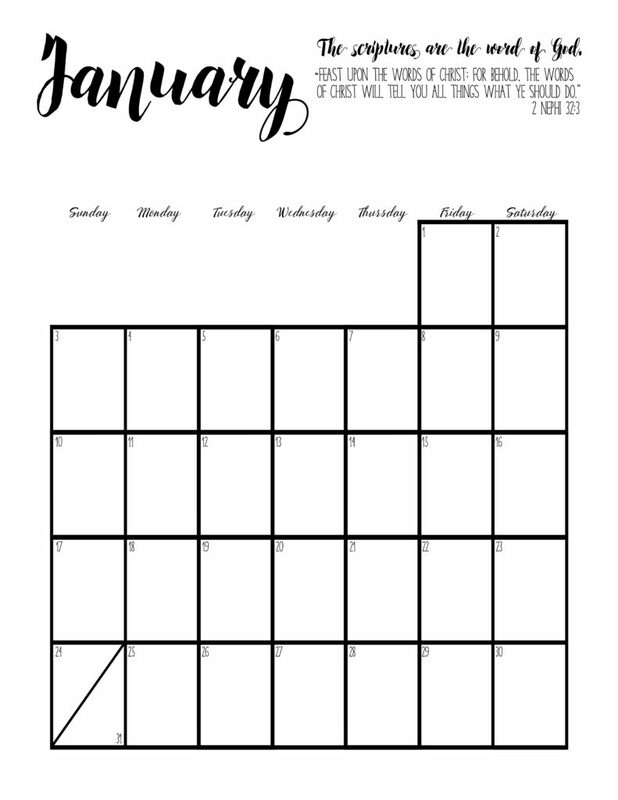 There is space for additional notes on most of the calendars – which is nice for writing down assignments or extra information during planning sessions. My goal this year is to have a set of calendars that have birthdays and activities on it too that we can use when we conduct. A quick glance and we’ll know if there’s any information that needs to be announced. There have been events and activities I had no idea about until my husband mentioned them and I have worried that our teachers feel like they aren’t getting all the information they should be. I know these 2016 Primary Calendars are a little late, but you know when you think to yourself… “I’ll just finish this real quick in the morning.” Yeah, I had planned for these to go up last Friday and it just didn’t happen. It was the last day of Winter Break and we decided to celebrate big time and actually leave the house… and I just didn’t get a chance to get these up. So, sorry they are a little late for this month – hopefully you’ll still find them super useful for the rest of the year. I added some cute graphics to each calendar for my presidency, because cute pictures make me happy and all. Melonheadz LDS Illustrating has some fantastic little doodles (for free). She also has some great graphics in her Etsy shop too if you can’t find what you’re looking for on her site. Ack! It was REALLY wrong! Thanks for the heads up. It should be fixed. 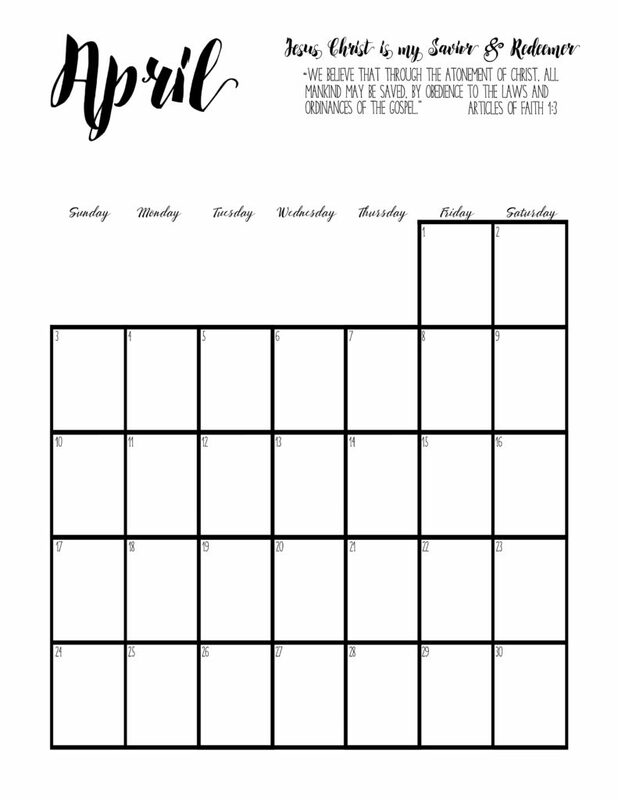 If you still want to use them, you can re-download the corrected file or let me know if you’d rather I just send the March calendar to you. Thanks!